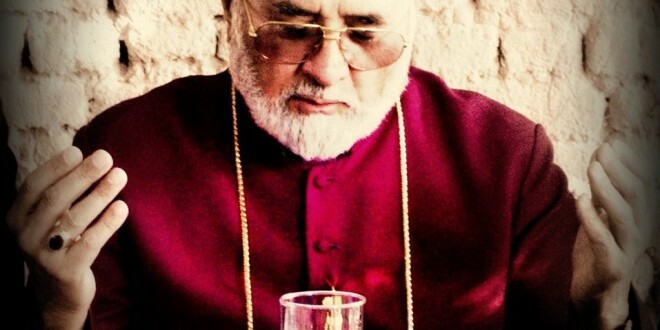 “For if we believe that Jesus died and rose again, even so them also which sleep in Jesus will God bring with him.” (1 Thessalonians 4:14) On Wednesday 16th November 2016, the village of Sarsing in Northern Iraq mourned the death of Reverend Father Patros Younan, parish priest of St Matthew’s Church. The Late Rev’d Fr Patros Younan was born in the year of 1969, was married with four children; two boys and tow girls. He was ordained a priest on the 18th February 2012 by His Grace Mar Iskhaq Yousip, bishop of the diocese of Northern Iraq and Russia. He served at St Matthew’s Church in the village of Sarsing and other surrounding churches. The funeral service will be held 1:00 pm on Friday 18th November 2016 in St Matthew’s Church. The Church in its entirety convey their condolences to his family and parishioners, and pray that the Lord grants him His Eternal Kingdom as a faithful servant. On 20 February 2014, His Beatitude Mar Gewargis Sliwa, Metropolitan of Iraq, Russia and Jordan met with His Excellency Metropolitan Hilarion of Volokolamsk, chairman of the Russian Orthodox Church’s (Moscow Patriarchate) Department for External Church Relations. The meeting took place at the DECR premises. The hierarchs discussed the situation in Iraq after the events occurred in 2003, as well as the situation of Christians in the country and prospects for overcoming the crisis. Among the issues raised at the meeting was the social and political situation in Syria. Metropolitan Hilarion discussed the initiatives of the Russian Orthodox Church, aimed at defending Christian minorities in the Middle East. Also taking part in the meeting were Hieromonk Stefan (Igumnov), DECR secretary for inter-Christian relations; Rev’d Alexander Vasiutin, a DECR staff member; and Rev’d Fr Samano Odisho, parish priest of St Mary’s Church, Assyrian Church of the East in Moscow. 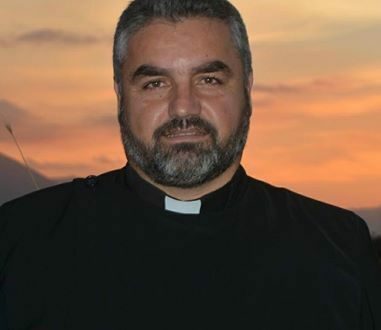 His Grace Mar Isaac Joseph, Bishop of Northern Iraq and Russia has laid his hands on two deacons, Batros Younan and Remon Lazar, and elevated them to the ranking of priesthood. His Beatitude Mar Gewargis Sliwa, Metropolitan of Baghdad and Iraq, has met Metropolitan Hilarion of Volokolamsk, chairman of the Moscow Patriarchate’s Department for External Church Relations, while on a sojourn to the Russian capital. The Assyrian Church of the East in Telkaif, Northern Iraq has held a commemoration in honor of the 58 innocent Christians who were massacred at Baghdad’s Our Lady of Salvation Syriac Catholic Church on 31 October, 2010. 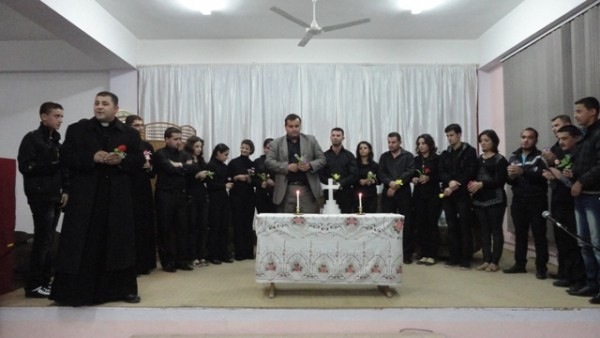 The Youth Association of the Assyrian Church of the East in Telkaif, Northern Iraq, has held a ceremony honoring parish members who are graduating from university. The Assyrian Church of the East in Telkaif, North Iraq has officially opened a kindergarten and pre-school sponsored by the St. Shmoni Church. 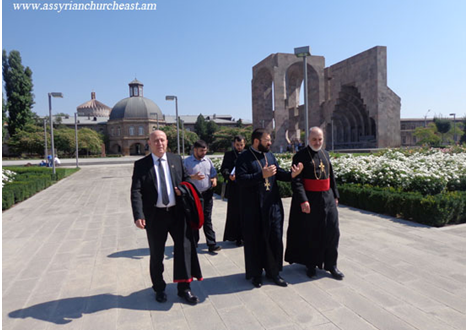 His Grace Mar Isaac Joseph, Bishop of Northern Iraq and Russia, has officially opened a newly reconstructed church which was left ruined after decades of war and persecution. 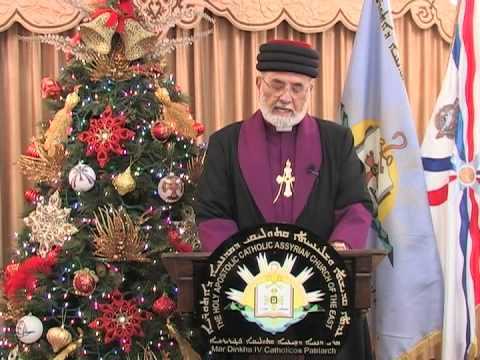 The Assyrian Church of the East in North Iraq, along with the General Cultural Arts and Syriac Association, has held a ceremony for graduates of Syriac language studies. The Youth Association of Diana, Northern Iraq, have successfully organized their second annual Sports and Cultural Festival, featuring lectures and activities over six days.